This is the beginning of me documenting my curly girl growth progress. The pictures I’ve taken are my starting hair length of my 2018 hair growth challenge. Which ranges around 8 to 9 inches in length. I will stay up to date with my hair growth through out the years. My ultimate hair goal is retaining healthy hair where the length I am aiming for is tailbone. I know to obtain this length will take time and patience. But, I know in time I will get there. December 2022 tailbone length here I come! Below are pictures of the front and back of my hair. Where the bang area of the hair reaches my lower lips. When stretched, the back of my hair reaches about 1 1/2 to 2 inches above my arm pit. Pictures of both sides of my hair which reaches my collarbone. Moreover, my hair in the below pictures hang just above my shoulders in its curly state. 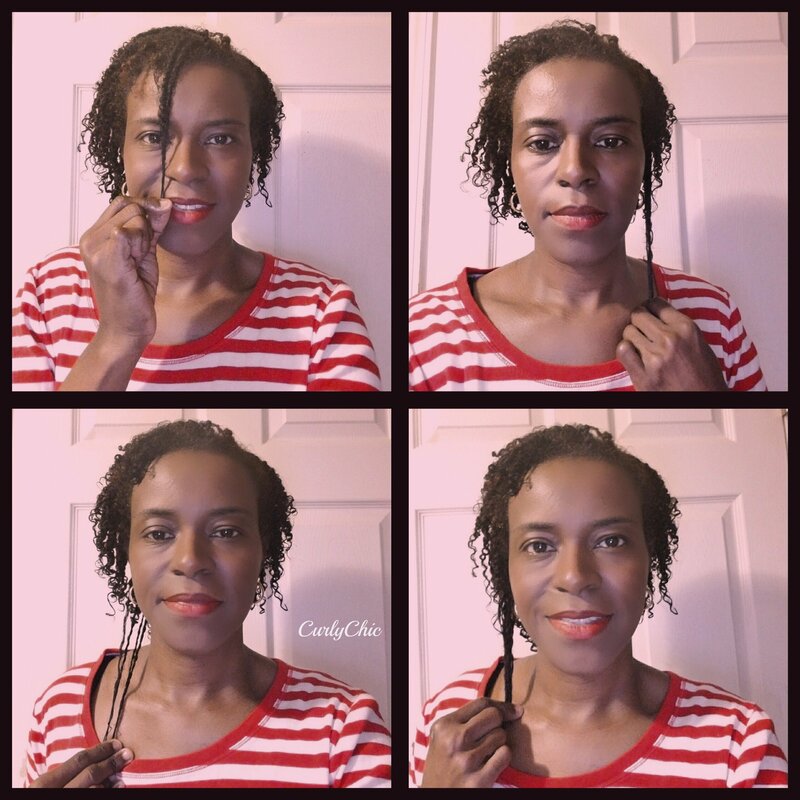 Curly Girl Growth Progress – Front Picture of my hair starting length. This picture is very important to me since I will be focused on the fullness of my hair as it grows. The hairstyle on the page will continue to be my go to hairstyle. First of all, my hair is styled in mini twists which will be my go to hairstyle throughout the year. I will also be documenting my 3 daughters hair growth and health progress. My goal is to grow longer healthier hair with the least amount of stress, manipulation and styling. Plus, I will be adding skin care routines to future blog posts. Especially since my 12 year old daughter is reaching teen years and is seeking help with random acne breakouts. I’ve created herbal remedies for her skin which seemed to help lessen the acne breakouts. But, I believe it is more internal than external so I will be creating herbal oral concoctions which will help with these. Furthermore, I will also be adding skin care routines for myself which will improve more overall skin health externally and internally. Learn more about my hair regimen here. Also, you can view my hair care line here.